This beautiful chicory has a robust head and rounded leaves, which when forced take on beautiful red and white variegation. 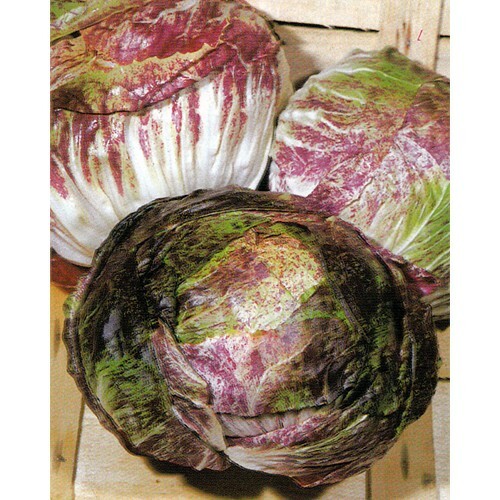 The head has a fairly tight form similar to head lettuce or cabbage, but the unique coloring and rich chicory flavor steal the show. Cool weather enhances color and flavor. Popular crop planted June-October for late fall and winter harvest in cool to moderately cold areas. Superior strain. Untreated seed.